The Centralina Clean Fuels Coalition is pleased to be co-sponsoring a Lunch and Learn with Duke Energy on Wednesday, July 25th. This event will be held in the EPIC building at UNC Charlotte from 11am-1pm. 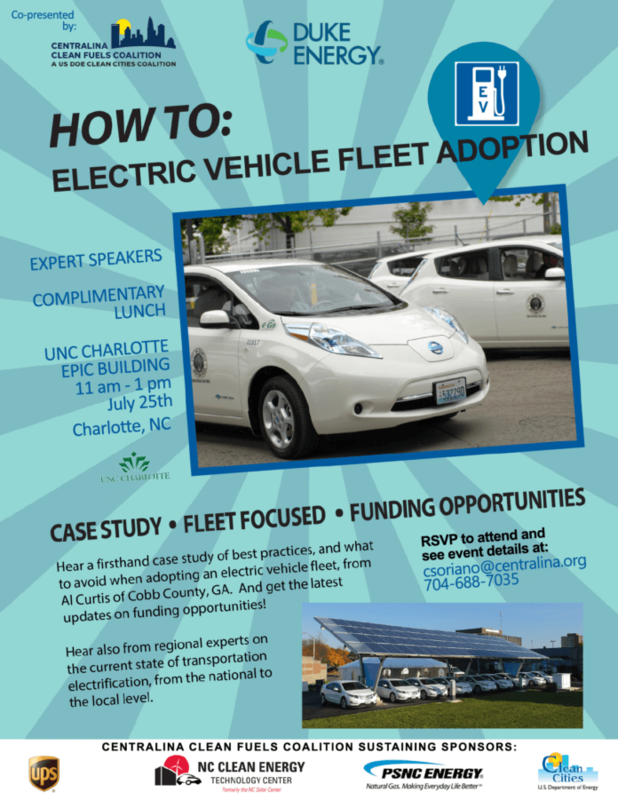 We want to invite you to come learn about electric fleet adoption from Al Curtis, Cobb County Fleet Management and hear his success story for government use. Please feel free to pass along to anyone you know that may be interested. For any additional questions and to RSVP, contact Carina Soriano. 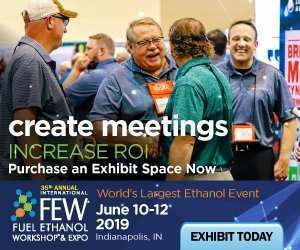 Don’t miss out on this exciting opportunity to hear about a case study, ask questions and get your answers to electric fleet adoption. We hope to see you there! The mission of the National Clean Cities Program (locally represented by the CCFC) is to reduce petroleum dependence, improve air quality, and expand alternative fuel use and technology. The program promotes, accelerates, and expands the use of alternative fuels in the transportation sector.